Refusing to sign a new contract at Paris Saint-Germain, Adrien Rabiot is very much expected to leave the Ligue 1 champions on a free at the end of the season. His next club has yet to be revealed, with destinations such as Barcelona, London or even Liverpool mentioned in the press, yet one in particular could make for easy adaptation: Manchester. The midfielder knows all about the area, having spent six months there during a brief spell at Manchester City, featuring in the academy before returning to France, where he continued his football education at Créteil and then Pau, which then led to the Paris Saint-Germain youth teams. Despite being common knowledge, this quick time with the Cityzens remains a rather mysterious part of Rabiot’s career, and So Foot, as part of a lengthy look at the France international’s life so far, tried to find out a bit more. 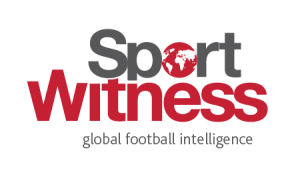 In order to do that, they managed to get hold of a former member of Manchester City’s recruitment team who was at the club when the midfielder arrived, seemingly dragged there by his mother, who is also his agent, Véronique. Her sole request, at this point, was for the Premier League side to help them relocate and ensure her sons were enrolled in local schools, where they ended up at St James Catholic High School near Manchester Airport. This, according to So Foot, didn’t please Véronique Rabiot, who has since stated the Premier League club were the ones who didn’t keep their promises. 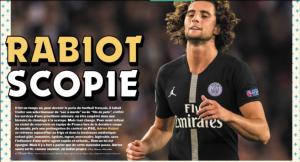 Despite having to return to France just six months after leaving, Rabiot is said to have enjoyed his time in England, where he became bilingual and thoroughly enjoyed the fact kids had to wear uniforms at school. Other than a loan spell with Toulouse, the 23-year-old has enjoyed all of his professional career at Paris Saint-Germain, where he has made 227 appearances, scored 24 goals and assisted teammates 17 times.